Many honest, busy analysts outside established media circles in the United States and Europe are plagued by mythologies stemming from once pseudo-truths they simply lack the time or energy to dig into and finally correct. Among them are enduring myths about the Southeast Asian state of Thailand and its relationship with the United States. These myths stem from its role during the Vietnam War and are now not only outdated, they are destructive to the truth to a point where they aid rather than impede the very special interests upon Wall Street and in Washington many of these analysts seek to expose and confront. During the Vietnam War, Thailand hosted US forces on its territory. It contributed a number of its own troops in supporting roles throughout Southeast Asia and conducted its own military campaign domestically against heavily armed Communist militants. It is easy to conclude that Thailand was an eager ally then, and easy to see why many analysts assume this is still the case today. However, in reality, the history of Thailand is of the only nation in Southeast Asia to avoid Western colonisation. It is also the story of a nation that survived the World Wars by expertly aligning itself amid greater powers, neither significantly contributing to nor suffering from contests of powers between more powerful nations. During the Second World War, Thailand tenuously aligned with the Japanese. It played no significant role in a war the Japanese ultimately lost. Upon Japan's defeat, Thailand would once again balance its relationships evenly among its Asian neighbours and the Western victors of the war. The Vietnam War was likewise a regional war started by foreign powers. It devastated not only Vietnam itself, but neighbouring Laos and Cambodia as well. Despite escaping the worst of the fighting, Thailand lost over a thousand soldiers and police amid security operations within its own borders. It fought allegedly Communist fighters, based primarily in Udon Thani, coincidentally where the US maintained its intelligence apparatus. In hindsight of the current so-called "War on Terror," where the US uses terrorism both as a proxy force against its enemies and as a pretext and pressure point for manoeuvring against its supposed allies, it appears a similar arrangement unfolded in Southeast Asia. Readers should keep in mind that this includes the supposedly leftist Khmer Rouge regime in Cambodia backed by the United States being ultimately overthrown by Communist Vietnam forces. Geopolitically, it appears the US supports allies and agents of convenience rather than those who share their supposed ideologies. Despite supplying Thailand with a large amount of US weapons, conducting annual military exercises with the Royal Thai Armed Forces and claiming Thailand as one of America's oldest and closest allies in Southeast Asia, upon America's withdrawal in Vietnam, America's influence and ties with Bangkok incrementally diminished over time. Claims that Thailand ever was a "close ally" of America are tenuous at best. Regardless of how one splits hairs regarding Bangkok and Washington's past, Thailand today is undoubtedly in the process of yet another historical realignment, reflecting the geopolitical shifts taking place worldwide as America's global influence declines. In 2000, billionaire and politician Thaksin Shinawatra assumed power. He had previously been an adviser to the US equity firm, the Carlyle Group, and upon taking office, boasted that he would continue his role in pairing US business interests with Thailand's resources. He would also privatise Thailand's large oil conglomerate, inviting foreign corporations to buy shares. He would also unilaterally pursue a US-Thai free trade agreement that was ultimately obstructed by Thailand's sovereign institutions. In addition to the overt pro-American stance Shinawatra took, he also was more insidiously attempting to undermine and overthrow Thailand's sovereign institutions, a move that would have left the nation vulnerable to foreign predation. Shinawatra would eventually be ousted from power in a 2006 coup. From 2006 onward, Shinawatra would be the recipient of extensive lobbying services from some of the largest lobbying firms in Washington including those with direct ties to the Carlyle Group's membership. These included Baker Botts of US President George Bush-era James Baker fame. Thailand has suffered from political instability ever since, as Shinawatra and his foreign-backed political party struggle to retake power. This included the most recent conflict centred around Shinawatra's sister, Yingluck Shinawatra who briefly served as prime minister from 2011-2014 before also being ousted in a coup. It is a process of destabilisation openly facilitated by US and European-funded fronts posing as nongovernmental organisations. 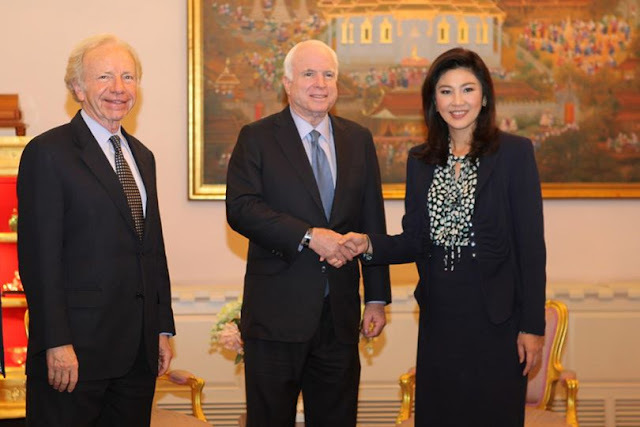 The role of America's National Endowment for Democracy, USAID and private foundations like Open Society in support of Shinawatra's bid to return to power under the guise of "democracy" have been extensively documented for years. Yet despite the truth of this now decade-plus political crisis being extensively documented, the myth of Thailand remaining a close US ally persists even as the US openly attempts to subvert Thailand and its sovereign institutions, particularly its military and its constitutional monarchy. Beyond anecdotal evidence provided by Westerners confined to a handful of tourist traps in Bangkok, Thailand is a nation in transition. While tourism provides a significant amount of income for Thailand, it possesses a primarily manufacturing and agriculture-based economy. Despite this, tourism provides insight into shifting global trends and for Thailand there has been a clear shift from receiving Americans, Western Europeans and Japanese to now receiving mostly Chinese, ASEAN and Russian tourists. In 2016, approximately 8.7 million Chinese tourists visited Thailand, followed by 3.5 million Malaysians and 1 million Russians. Tourists from the United States fell under 1 million. This represents a socioeconomic shift globally, and it is a shift that Thailand is adjusting to not only in terms of tourism, but economically, diplomatically and militarily as well. 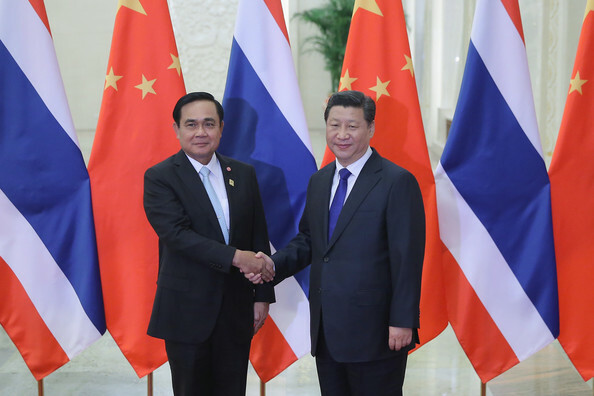 China and the United States represent Thailand's two largest trading partners with trade almost equal between the two world powers. However, in the near future, trade will likely shift distinctively in China's favour. While the US continues to provide a hungry import market for Thai manufacturing and agriculture, it has little to offer Thailand in return. Conversely, China offers infrastructure, technology and military hardware. It also has the advantage of proximity. 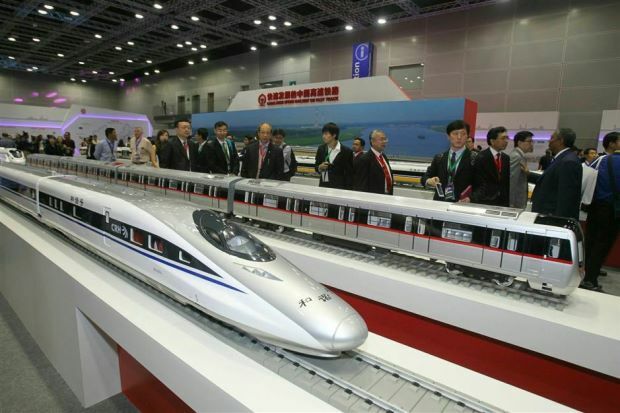 In addition to joint infrastructure projects between Thailand and China, including a high-speed railway aimed at linking Thailand to southern China, Thailand has begun diversifying heavy industry acquisitions with purchases from China. This includes Chinese rolling stock for Thailand's mass transportation systems. Thailand is also diversifying its military arsenal, at one time dominated by US weaponry. 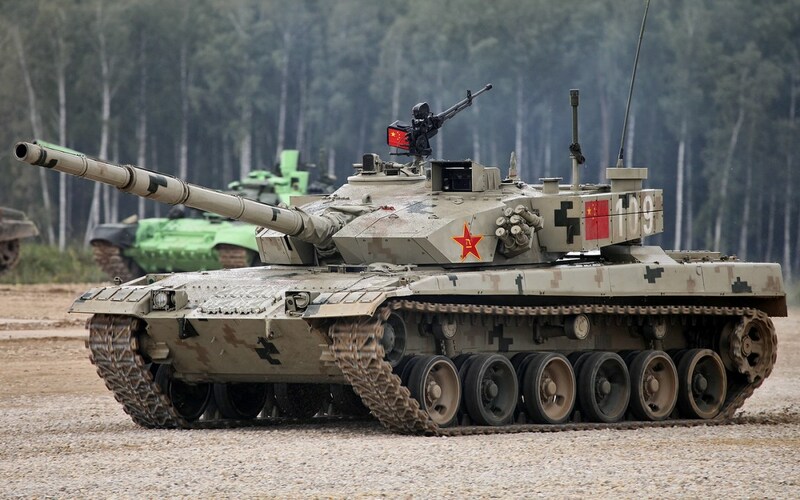 Today, Thailand has acquired main battle tanks and armoured personnel carriers from China. It is also in the process of acquiring Chinese submarines. In addition to continued annual joint Thai-US military exercises, Thailand has begun conducting its first joint-exercises with China in recent years beginning in 2015. It is clear that a geopolitical shift is taking place and that Thailand is shifting with these changes. The myth of Thailand being a stalwart US proxy does not even pass historical scrutiny, let alone stand up to current events. The US has invested deeply in an ousted political party propped up by a large network of US and European funded NGOs, opposed to, not supporting the current Thai government, its military or its constitutional monarchy. The US is falling behind in all matters economically to China, who is not only a significant trading partner with Thailand, but also plans on playing a role in developing modern infrastructure in both Thailand and among Thailand's ASEAN neighbours. Attempts to portray the current Thai government as beholden to Washington and support of Thai opposition to the Thai military and constitutional monarchy only serve Washington's interests in destabilising all three and placing their proxies led by Thaksin Shinawatra back into power. Analysts who choose to cover Thailand and its role in geopolitics must take the time and effort to unravel these self-defeating and persistent myths about Thailand's role in history and particularly its complicated relationship with Washington, predicated more on self-preservation than on willing or beneficial abetting. They must also unravel persistent myths about Thailand's economic and military relations today, myths easily dispelled by even the most cursory research into easily obtainable statistics.